Ellie Mae announced that Matthew LaVay, who holds the top finance spot, is leaving the firm effective June 15. While the company looks for his replacement, corporate controller Popi Heron will become interim CFO. Marshall Croom plans to retire as head of the finance function at home-improvement firm Lowe’s on Oct. 5. The company has hired an executive search firm to aid in finding an external candidate to succeed him. Croom will remain head of finance until that person has been found, then will stay at the firm during a transition period until he retires. Consumer-goods firm Newell Brands said that finance chief Ralph Nicoletti will retire at year-end. The company will begin a search for a replacement for Nicoletti, who joined Newell in 2016. CPI Card Group, which produces payment cards, announced that Lillian Etzkorn, who heads finance, has resigned. CPI will begin a search for a successor to Etzkorn, who will stay on until July 24. Oren Klein has been promoted to finance chief at Advance Publications, owner of publisher Condé Nast. He will take over in October from Tom Summer, who is retiring but will stay on until the end of the year before becoming a senior adviser to the firm. Klein has been controller and vice president of finance since 2008. Agribusiness The Andersons has selected Brian Valentine to fill the top finance spot, effective Aug. 1. He has headed finance at The Lubrizol Corp., a subsidiary of Berkshire Hathaway, since 2011. Fitbit aid that Bill Zerella, who has been finance chief since 2014, will leave the company on June 15. Chief accounting officer Ron Kisling will take over Zerella’s role. Before joining Fitbit, Kisling was CFO at Nanometrics. Anthony Colucci has been chosen to head finance at Hayward Industries, succeeding the retiring Andy Diamond. Colucci comes to the swimming-pool equipment manufacturer from Honeywell International, where he held the top finance spot at its performance materials and technologies group. Owens & Minor has appointed Robert Snead to the additional post of interim CFO. Snead, group vice president of finance–global solutions, replaces the departing Richard Meier. The health-care solutions company will rely on a search firm to find Meier’s permanent successor. 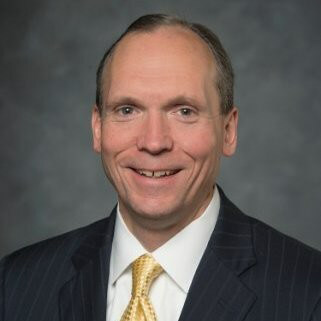 Biopharmaceutical firm Celgene has named David Elkins to lead the finance function. He will join the company on July 1 and become finance chief on Aug. 1. He will take over from Peter Kellogg, who will become chief corporate strategy officer until his retirement next year. Most recently, Elkins was CFO for consumer products, medical devices, and corporate functions at Johnson & Johnson.